The Bolts Framework team has started porting Bolts for iOS to Swift. At the moment only the Task component is available, but I’d suggest to keep an eye on the repo for future developments. A library to make the “Peek and Pop” functionality available only to devices with 3D touch to older ones, and work with it using a transparent API. The Spotify team shared their take to the caching problem. SPTPersistenCache is a LRU cache to store NSData with time to live values and semantics for disk management. It also comes with a super handy companion Mac app GUI tool to inspect the contents of any SPTPersistentCache. This nice view library displays numbers and animates their transitions using tweening. Sweetcorn is an OS X app which implements a node based user interface to create Core Image Shader Language code. The resulting code can be used as the basis for custom Core Image filters for either OS X or iOS. This app has been developed by Simon Gladman aka @FlexMonkey, that in the past months has been sharing a ton of great resources in the field of image manipulation, and even published a book on the topic. Thanks Simon! 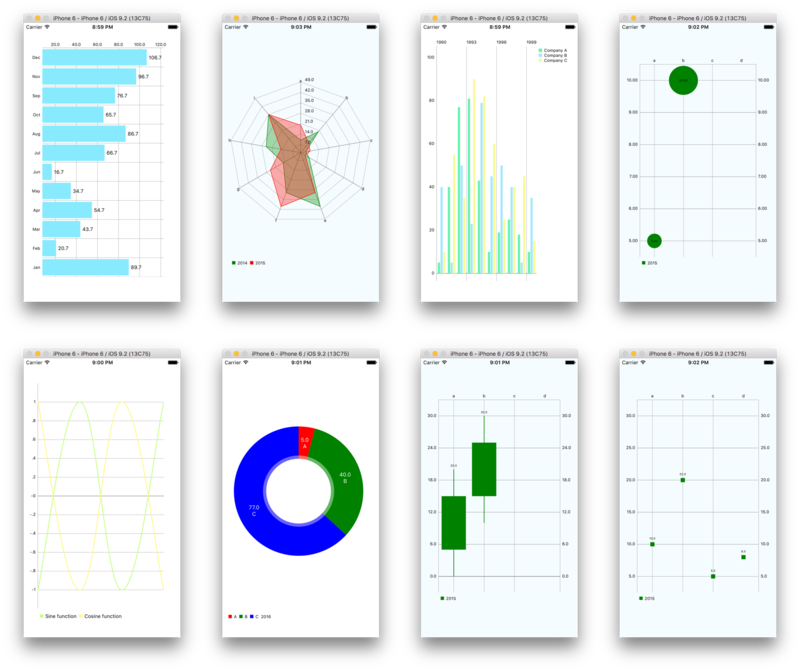 This library is a port of iOS-Charts, which is a port of MPAndroidCharts, to React Native. The port is not 100% complete, but there are already a good number of charts available. A “pure” Swift markdown implementation. Interesting the choice of the author to only publish the library via SPM.